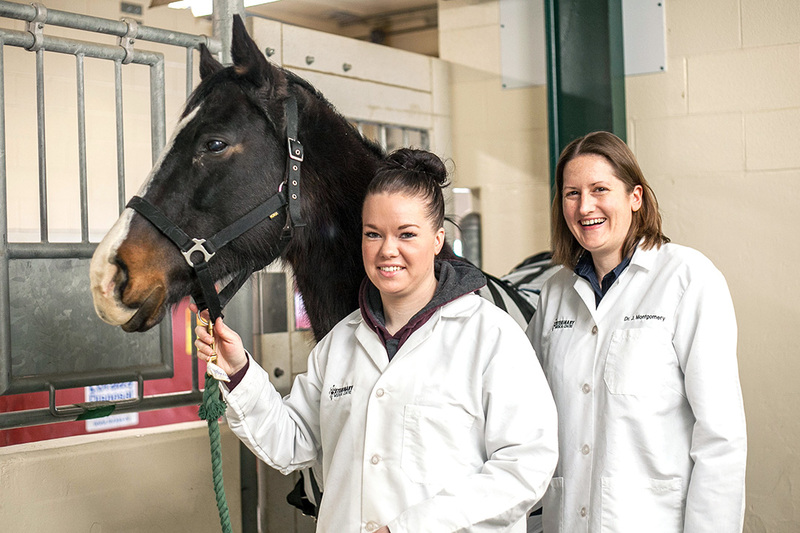 Biomedical engineering master’s student Samantha Steinke joined the research project in 2016 as an undergraduate student after her horse had to be euthanized following a tendon injury that would have left him debilitated. She is working with RMD to build and test the new harness. 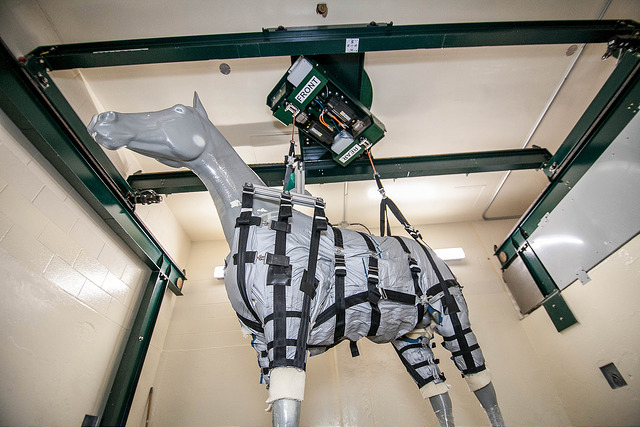 Challenges facing researchers include the unique biomechanics of a horse, which carries 60 per cent of its weight on its front legs. When the animal injures a limb, it redistributes its considerable weight—from 400 kilograms to more than 550 kilograms—to its uninjured legs, often leading to a highly painful foot injury called “supporting limb laminitis” which has a poor prognosis. Long-term use of rescue slings for rehabilitation also can create pressure sores in horses, much like bed sores that bed-ridden human patients develop despite receiving excellent care, Montgomery said. Pressure from slings can also damage horses’ internal organs and nerves. Steinke said her work with RMD is focused on the load-bearing structures on a horse, and on building the harness so as to distribute the weight over solid bone structures, not muscle or organs. With quick release buckles, the harness will be easy for one or two people to put on or remove—an important consideration for rural veterinary practices, which often have only a single person working. Article re-posted on 16-Apr-2019 2:53:56 PM .